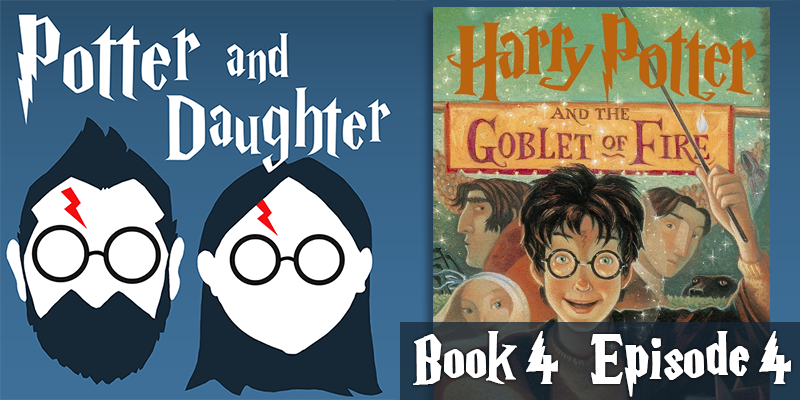 In episode fifteen of Potter And Daughter Joel and Lily cover chapters 27-31 of Harry Potter And The Goblet Of Fire. Harry reunites with his godfather, and has several visions courtesy of his Divination Class dreams and Dumbledore’s Pensieve. Armed with more knowledge of Death Eaters past and a few new spells, Harry tackles the 3rd Tri-Wizard Tournament Task, where victory, it seems, may not be his best option.